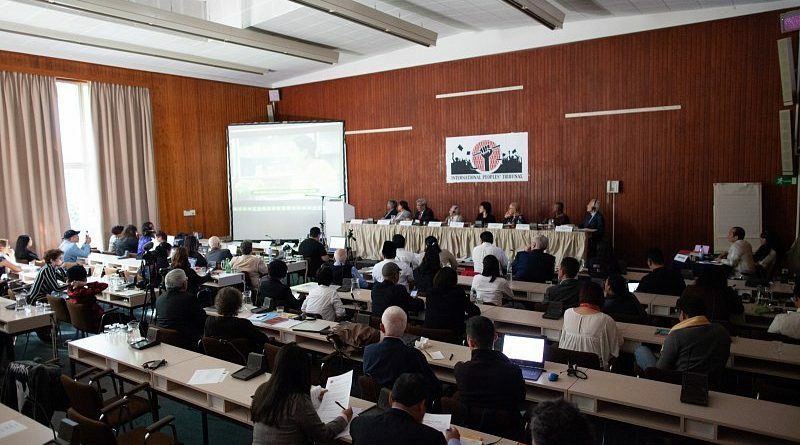 We, the International League of Peoples´ Struggle, congratulate the International People´s Tribunal (IPT) on the Philippines, its convenors, judges, prosecutors, witnesses and expert witnesses for the successful trial and conviction of Rodrigo Duterte, president of the Government of the Republic of the Philippines and Donald Trump, president of the United States of America. The IPT is a world renowned moral court of public opinion. Its judges and prosecutors have high moral authority and influence because they are outstanding professors and practitioners in the legal profession from various countries. They are legal luminaries and well-known for their advocacy of human rights and international humanitarian law. The IPT is resorted to by the people when governments like the tyrannical regime of Duterte of the GRP and an imperialist power like the US use their state power to prevent the prosecution and trial of their highest officials and frustrate the people´s demand for justice and viciously oppose the International Criminal Court. I. Gross and systematic violations of human rights, particularly civil and political rights, with focus on extrajudicial killings (EJKs), massacres, arbitrary arrests and detentions, torture, political persecution, attacks on media, and multiple rights violations arising from the imposition of martial rule in Mindanao. II. Gross and systematic violations of human rights, particularly economic, social and cultural rights, with focus on labor, peasant, women, and migrants rights, and the rights to education, livelihood and housing, through the imposition of neoliberal policies and other imperialist impositions to exploit the people; transgression of their economic sovereignty and national patrimony; and various forms of economic plunder. III. Gross and systematic violations of the rights of the people to national self-determination and development and violations of international humanitarian law, with focus on attacks on civilian communities and schools, massacres of hors de combat, ¨terrorist¨ labeling and profiling, destructive mining and environmental degradation, and crimes against humanity; and misrepresentations and attacks on the people’s right to national liberation. This judgement will resound among the peoples of the world, especially among the Filipino people, to isolate and disempower the US-propped Duterte regime and will pave the way for bringing Duterte to a court of law in the Philippines or abroad in consonance with the people´s demand for justice.